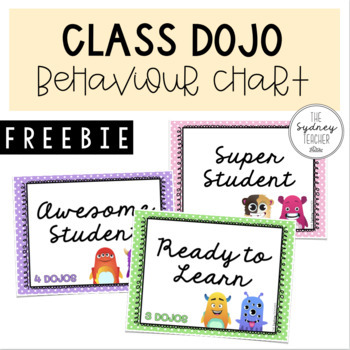 Manage challenging behaviour and encourage positivity with this super cute class dojo behaviour chart! 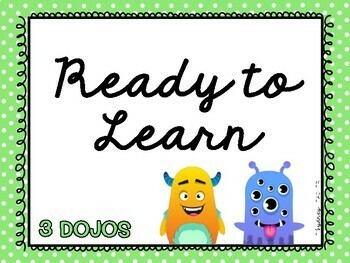 At the end of each day (or week) all students who have been 'Ready to Learn' will automatically be awarded 3 dojos. 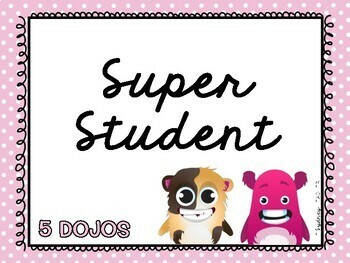 Any 'Awesome' or 'Super' students will get extra, and any students requiring reminders, will get fewer. This system works SO well, because inevitably as busy teachers we can forget to reward those fabulous but quiet kids, and this ensures we acknowledge them each and every day! 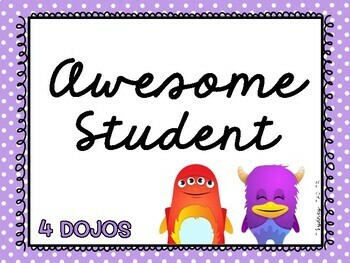 Another thing I love about this system is that students are given 2 opportunities to improve their behaviour and can still receive dojo points if they manage to reflect on and change their behaviour. In my room I have posters printed half size at attached to my whiteboard. I don't have any name pegs or tags, as all students start at the same place (Ready to Learn). Any movement up (or down) the chart is recorded on my whiteboard beside the poster - easy peasy!